While out on a date, teenagers Mike and Debbie see a strange light and discover that the circus has come to town. But they soon find to their horror that this is no ordinary circus. The huge tent is in fact inhabited by evil aliens who look like clowns. 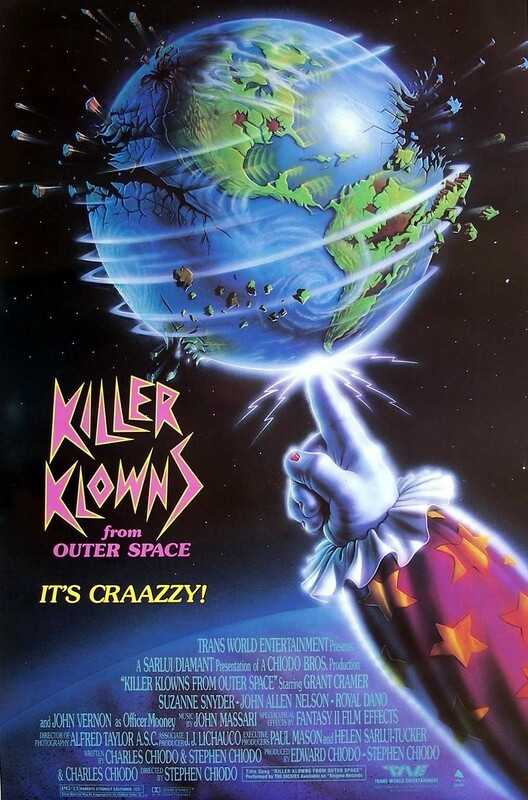 In fact, the kill like clowns as well, using a cotton candy-like substance to store humans in order to eat them later. Mike and Debbie run to warn the town as the killer clowns follow with balloon animal tracking dogs. Their warnings fall on unbelieving ears, but things change when one of the aliens kills the local sheriff. It is up to Mike, Debbie and a handful of their friends to take on the invaders themselves.